Excel presents an Office Button which contains the main functions for opening, saving, printing, among others. 1. We position the cursor on the upper left corner of the main screen, over the Microsoft symbol. 2. To visualize the options for this button, click on the button and a drop down menu will appear. - New, to create a new document. - Open, to access an existing excel document or file. - Save and Save As, which perform the functions their names imply. - Print, which allows us to have a preliminary view of the document and the printing controls and options for the document. 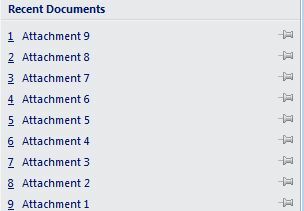 On the right of this sub-menu (it opens where all the main functions for excel are located), you can also see recent document you have worked on.